The Dopper is an initiative for the promotion of drinking water and the reduction of plastic waste. 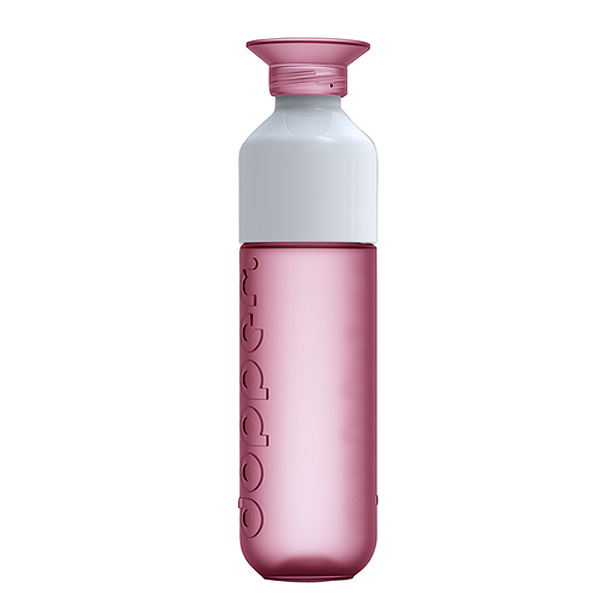 For this purpose, the Dopper has introduced the perfect drinking water bottle; durable, convenient and nicely designed. 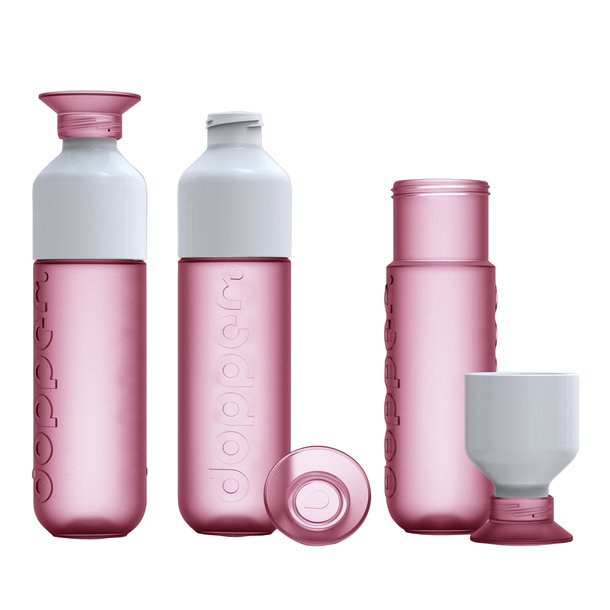 Dopper Reusable Water Bottles is cleverly designed with a two part lid helping it double-up as a drinking cup. It's a perfect bottle for drinking water. Sustainable, practical, fashionable. No more need to buy and throw away plastic bottles. 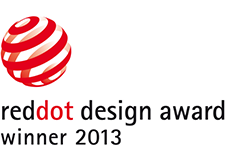 Produced in Holland with a net zero carbon footprint. The Dopper contains no harmful substances. The Dopper has a °Food Approved' hallmark. Best of all, 10% of all net proceeds from Dopper bottle sales are set aside for the water project in developing countries. Made with Polypropylene (PP) (colored part) (recyclable and has the number "5" as its resin identification code) and. Acrylonitrile Butadiene Styrene (ABS) (white part) (recyclable and has the number "9" as its resin identification code) (safe temperature range: -20°C to 80°C (-4°F to 176°F)). 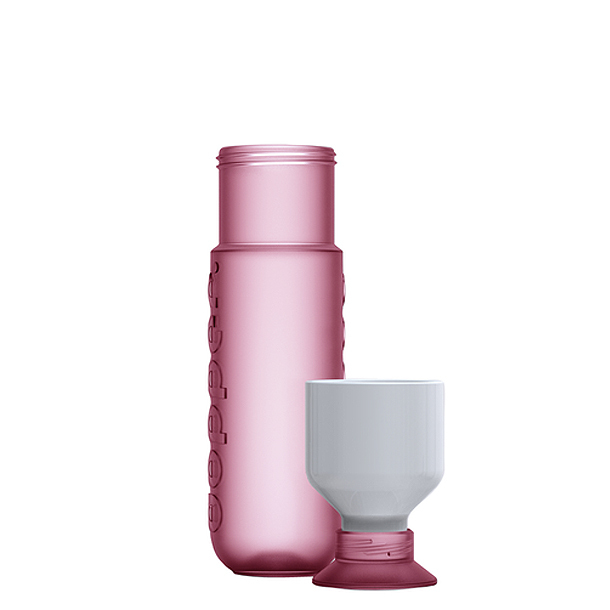 It is also certified BPA-free, and is free of phthalates, PVC and excluded other toxins to make a clean and healthy bottle. Single-use, disposable water bottles create millions of tons of unnecessary waste each year. In fact, they are less than 15% of plastic water bottles in the world are actually recycled _ most wind up in landfills where they can take up to 1000 years to biodegrade. Every day, in the Netherlands alone, at least 500,000 plastic (water) bottles are thrown away. They end up on the rubbish dump, on the street or in the sea. There is an island of plastic waste the size of France and Spain combined floating around our oceans. In addition, every water bottle requires 1 litre of water and a quarter litre of oil to produce. The Dopper is produced with a net zero carbon footprint, is BPA free and is made largely of recycled plastic. Using reusable bottle such as Dopper helps replace wasteful, use-and-toss single serving plastic and paper beverage containers, while saving you money in the process. All parts of the Dopper can be cleaned in the dishwasher separately. We advise to put the white mug without its cap in the upper part of the dishwasher, the cap in the cutlery basket and the bottle in the lower part. Your bottle is dishwasher-safe (up to 65 °C / 149 °F) and can easily be cleaned with a dishwashing brush. DO NOT use this bottle where water is microbiologically unsafe or of unknown quality. This bottle can be use for hot water up to 65 °C / 149 °F (hot enough to cook an egg). DO NOT recommended to use this bottle with 100 °C / 212 °F boiling water. Dopper and Dopper foundation was founded by Merijn Everaarts, after saw a documentary on'plastic soup', the enormous amount of plastic floating in our oceans. His frustration with plastic waste grew. So did the amazement of the number of people who kept buying single-use plastic bottles with expensive mineral water. The Dopper foundation exists to bring clean water to those who need it and educate the public on matters of sanitation, water scarcity and waste management. For this purpose, 10% of all net proceeds from Dopper bottle sales are set aside for the foundation. The foundation also receives donations. Half of the foundation's proceeds are used to create new sources of clean drinking water and providing sanitation education to rural families in developing countries. 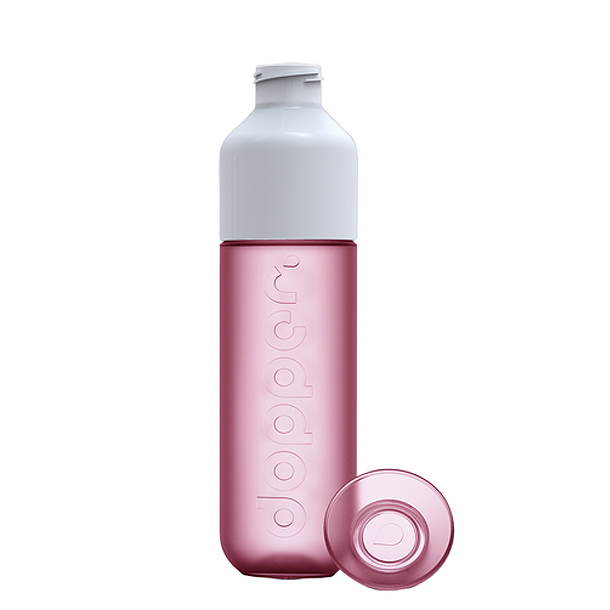 Dopper bottle is a perfect reusable water bottle; durable, beautiful and incredible easy to clean! You'll immediately reduce plastic waste, because you'll never need a single-use water bottle again. The Dopper is real Dutch design, produced with a net zero carbon footprint and free of BPA. Material： Acrylonitrile Butadiene Styrene (ABS) (recyclable and has the number "9" as its resin, Polypropylene (PP) (recyclable and has the number "5" as its resin identification code)?